I've posted about the Banana Dippers, and the Magnum Bars, and the Frozen Fruit Bars, and the ice cream filled fruit cups, but I haven't posted yet about the frozen fudge bars, which are great. 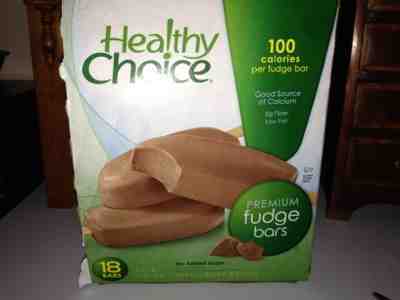 These low calorie (100) bars taste more chocolatety and creamy than they could possibly be for the low calorie count. We keep the fridge stocked year round. This is probably the lowest calorie chocolate treat we have on hand and will work for an emergency chocolate fix.